Ajax winger Justin Kluivert is reportedly leaning towards a transfer to Manchester United after a breakdown in contract talks with his club, according to the Guardian. The 19-year-old is considered a huge talent and the Guardian claim he has attempted to demand a huge pay rise at Ajax to become the Dutch giants’ highest paid player. 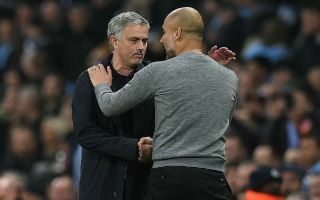 It seems this will now lead to his exit, with United reportedly in pole position, despite a contradictory report from Arab News emerging yesterday that stated Manchester City looked the favourites for his signature. Whoever does win the transfer battle for Kluivert will certainly be landing a major talent and it could have a big say over the destination of the Premier League title next season. United could do with his kind of spark and quality in attack, but if City land him to add to their already impressive roster of forwards they will surely be big favourites to retain their crown. This seems an important one for Jose Mourinho to win and the Guardian’s report suggests his side could do just that.